We are excited to share with you some updates on what we have been working on here at Land Concern and showcase our latest work. Read on for more information and other exciting news. Named Master Planned Community of the Year” in 2016 The Hilltop Club is the newest addition to open its door and welcome in the residence of Esencia. Land Concern is privileged to be a part of Rancho Mission Viejo’s ­­vision creating beautiful and innovative communities. Visit our NEWS article to learn about our team’s involvement and our efforts on such an exciting project. We recently had the opportunity to work with our industry friends at Thompson Building Materials. Helping them spruce up their Design showroom in Orange. Partnering with a few masonry superstars allowed us to enhance their street side patio display. Visit our PORTFOLIO to learn more about this project. Based in Newport Beach STACKED: Food Well Built, is just that. Dining out should be an experience and here, it is. Complete with iPad technology at the tables, STACKED allows the customer to choose signature dishes or build their own meals. Their innovative interiors needed to match the exteriors. Land Concern is excited to have worked on both restaurants both in Huntington Beach and Cerritos. STACKED has been recognized by the National Restaurant Association with its inaugural Operators Innovation Award. Visit our PORTFOLIO to learn more. Along with access to all Esencia and Sendero amenities, Gavilan resident’s exclusive amenity at The Outlook allows them to enjoy an open air great room with seating and dining areas and resort style living all at the comfort of their own home. Visit our PORTFOLIO to learn more and see what else we have been working on. A few of us here at Land Concern are taking time out of the office to seek out creative places located in and Orange County. Our latest venture took us to Anaheim to explore the Anaheim Packing House. Stay tuned for more fun stories from our “Walk and Gawk” series. Visit our BLOG to read all about our first trip and see some of the fun areas we enjoyed. Land Concern is pleased to introduce the newest Registered Landscape Architect at our Land Concern. Congratulations to Garrett Bustos on passing the four-part Landscape Architecture Registration Exam (L.A.R.E.) and California Supplemental Exam. 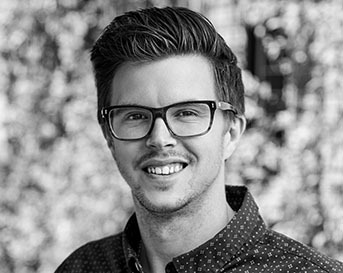 Garrett has been with us for four years and is our youngest licensed Landscape Architect. We’re so pleased to have him on our team and part of the next generation of LA’s to be part of the Land Concern family. Land Concern is excited to welcome RSI Communities to our family of clients! Their focus on value and customer experience sets them apart and is prominently featured in their many neighborhoods in Riverside County. We are pleased to be working with them at Audie Murphy Ranch and look forward to our future collaborations. See what we are up to and FOLLOW US today to get a sneak peek into our daily office life, fun projects and activities, landscaping tips, inspiration and more.